Since our grand opening in 1970, ToyotaTown has been committed to being the leading Toyota dealership in London, Ontario. 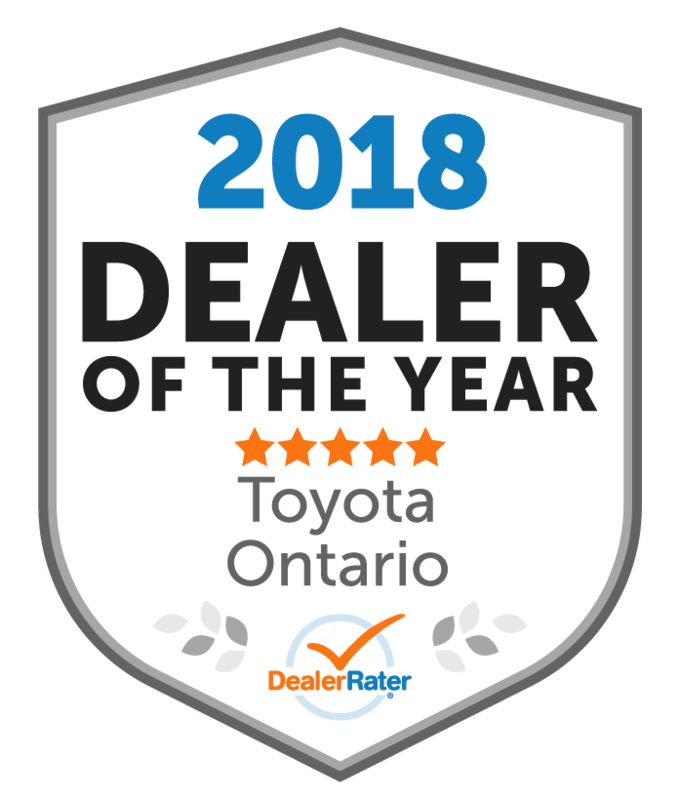 This commitment, along with our dedication to the London community, has resulted in ToyotaTown becoming the oldest, largest and most well-reviewed new & used Toyota dealership in London, ON. As an award winning London Toyota dealership, our dedicated staff strives for excellence on a daily basis as it relates to your satisfaction. ToyotaTown has been awarded the Toyota Canada Pride award a total of eleven consecutive years by Toyota Canada, and also received their prestigious Toyota Pinnacle award four times. Our exclusive ToyotaTown Advantage Club membership rewards card can also save you money during every visit you make to our dealership. 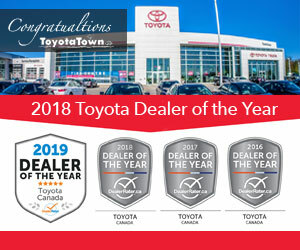 Visit our website at www.Toyota-town.com to learn more or to become a service member. Our facilities go above and beyond Expert Toyota Service and Toyota Maintenance and includes drive-through service reception, a quick lube service, alignment, a full Toyota Touch Detailing service, and of course a complimentary car wash. Our ToyotaTown Tire Centre also guarantees a price match on all tires, including Winter Tires. ToyotaTown also guarantees a price match guarantee on all repairs using comparable parts. "Great Price , great salesmanship , great experience !!!!!" I was looking for a specific vehicle in the Tacoma. I shopped around to different dealers and Ken at Toyota town with no B.S. gave me the best price hands down in the first price. No other dealer that I went to could come close to matching it. The confidence that he had that his price was un beatable was impressive. The process from the time I walked in to look at the truck to the time I picked up the vehicle was very smooth , no surprises along the way no hidden fee's just easy. 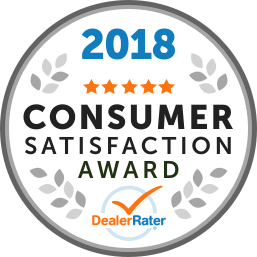 It was refreshing to be treated the way I was treated in this process of buying this vehicle. We trust Robert Dako’s advice and guidance when we have service performed on our Yaris. He has been our service advisor since purchasing our Yaris new in 2007. He is knowledgeable and only recommends service that is required. He pointed out some items that need attention but did not pressure us to have the work performed as we are considering acquiring a new vehicle. Rob is a true professional.